We love reading the Rainbow Fish! It is such a great books for kids to read over and over. We are going a step further. I am excited to show you a long, but super awesome list of Rainbow Fish book extensions, including crafts using tin foil, tissue paper, play dough, salt dough, and even hands-on and learning activities! Come take a look at how awesome they are! Rainbow Fish Cupcake Liner Craft Great way to use those craft gems! Sparkly Fish Sewing Project This makes a cute toy to retell the story. Watercolor Rainbow Fish Craft Combining watercolors with black glue makes a pretty result. Fish Craft Time This jumbo-sized craft is made with cutout circles. The glued circles look perfect! Rainbow Fish Puppets Not only does this mom share a cool technique with glitter glue and watercolors, she also shares a template to make your own. Paper Plate Fish Inspired by Book I didn’t realize sequins came that big… neat! Love how they painted the fish scales. 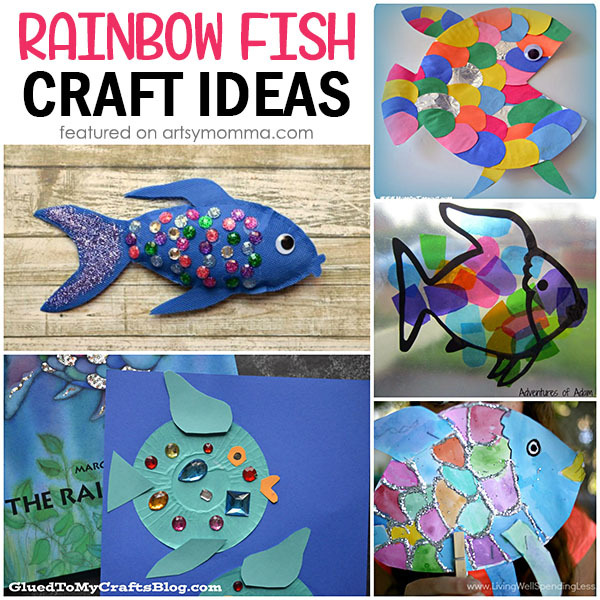 Paper Plate Fish Craft with Rainbow Paper Circles This looks awesome! She has a video tutorial too. Tissue Paper Rainbow Fish – This craft stands up! Rainbow Fish Book Inspired Window Art – She also shares Elmer the Elephant. Rainbow Fish Tissue Paper Art – Find a free printable template! Beautiful Suncatcher Craft – Perfect for younger kids to make. Soda Bottle Fish – Cool recycled art project. 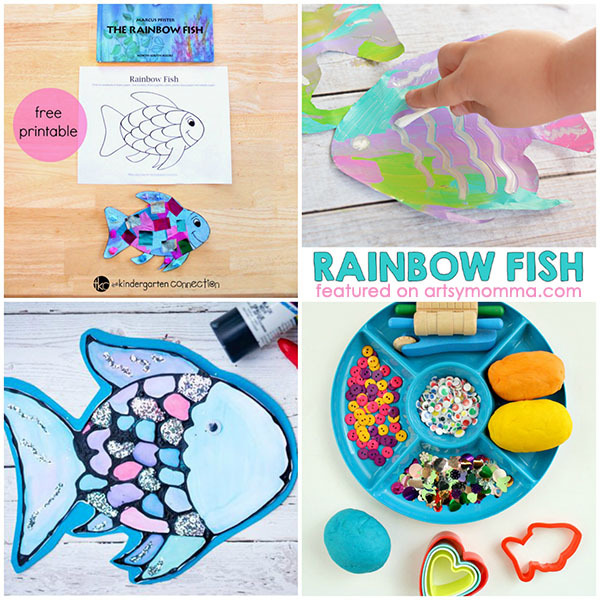 Fine Motor Rainbow Fish Foil Painting Activity – Love the process they used! Book-inspired Play Dough Activity – Here’s a simple invitation to create that’s sure to be a hit. The Rainbow Fish Play Dough Book Extension – Plus get a tutorial for creating glittery homemade blue playdough. DIY Salt Dough Rainbow Fish Inspired by the book – Gluten-free Recipe! 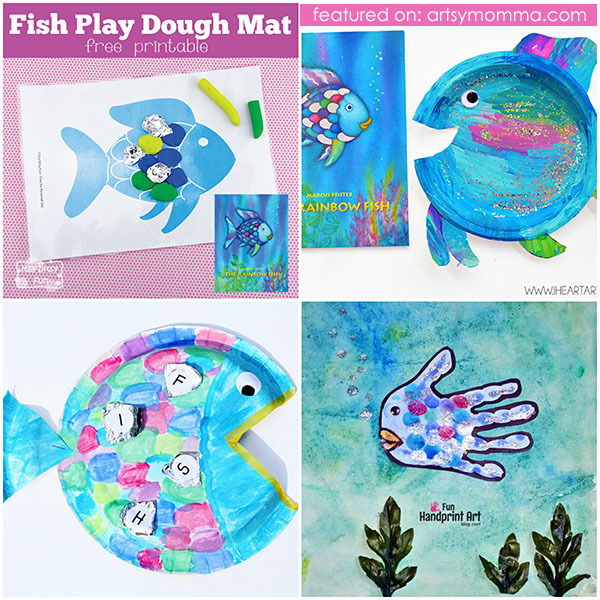 Printable Fish Playdough Mat – Perfect activity to do after reading the book! Rainbow Fish Handprint Craft – We are addicted to handprint fish and love how sparkly this one turned out! Fun creating on a homemade light table – Preschoolers will love turning the lights out and watching their fish glow! Cute Perler Bead Fish Craft – This is an ornament, but definitely fun for any time of the year! 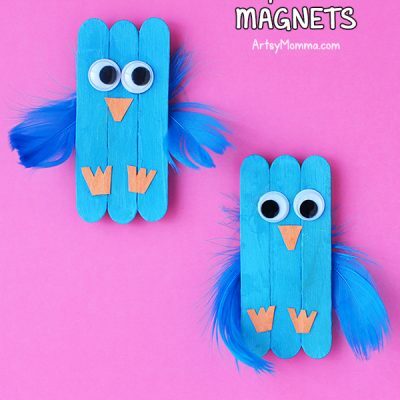 Colorful Felt Fish Sewing Craft – Cute idea as a first sewing project for kids. Alphabet Book Matching Activity – This is a hands-on activity book that toddlers and preschoolers will have fun doing. 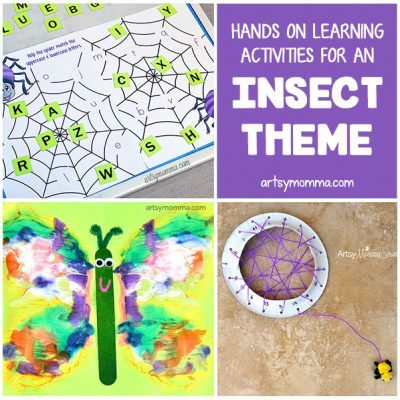 Rainbow Fish Learning Activity Trays – Lots of hands-on ideas here! 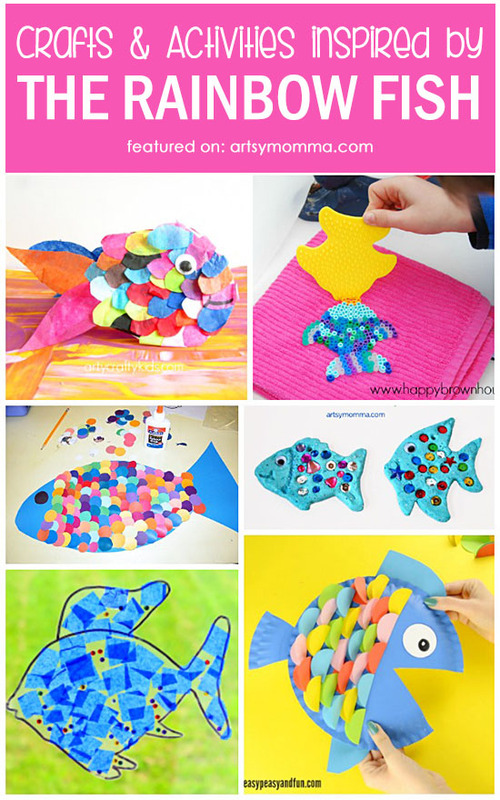 Rainbow Fish Alphabet Matching Craft – Add a bit of learning to your kids craft time. 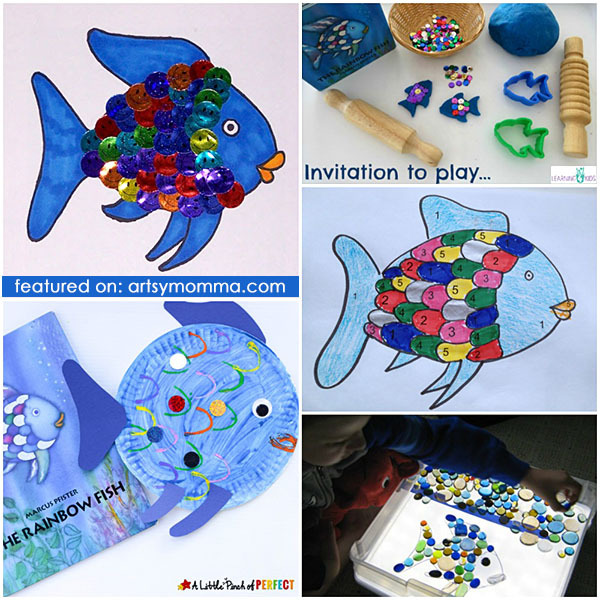 The Rainbow Fish Activities for Early Years – Love the idea of kids writing what they will share on the shiny silver scales. What do you think? Which category caught your eye the most? And what about the kids, which Rainbow Fish book extensions would they enjoy doing this week?